Honor 10 Lite is on pre-order at Argomall too! Home / honor / mobile / news / Honor 10 Lite is on pre-order at Argomall too! The affordable selfie-centric smartphone Honor 10 Lite is also available for purchase at Argomall too. It is priced at PHP 9,990. 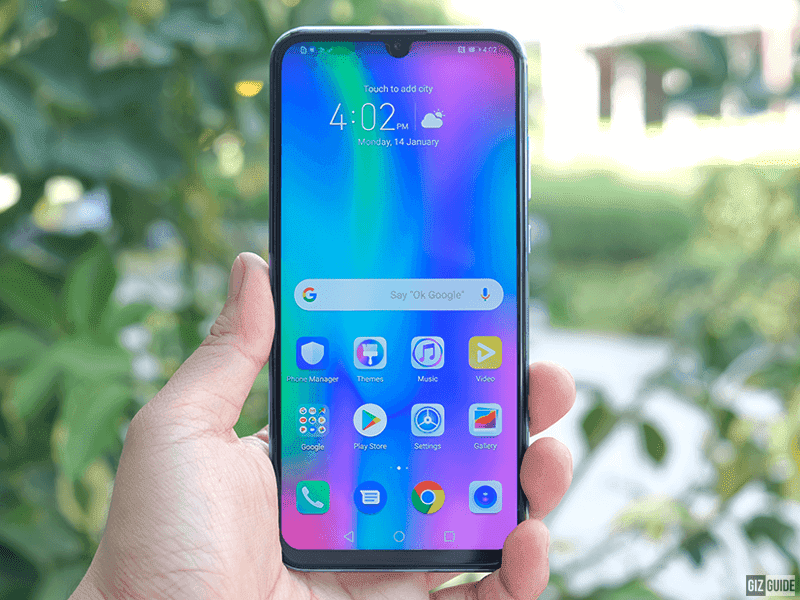 As a refresher, the Honor 10 Lite has a 6.21-inch display with a 2340 x 1080 FHD+ resolution and a 415 ppi pixel density. It also has a great looking design with a gradient 3D glass-like back and a waterdrop notch. It also has over 90 percent screen-to-body ratio. Inside it has a Kirin 710 octa-core processor, Mali-G51 MP4 with GPU Turbo 2.0, 3GB RAM with up to 64GB expandable storage and a 3,400mAh battery. For cameras, it has dual main cameras with 13MP f/1.8 + 2MP f/2.4 sensors with PDAF, Master AI and LED flash. It also has a 24MP f/2.0 sensor for selfies with AI face beauty. It runs Android 9.0 Pie with EMUI 9.0 out of the box. It also has dual band WiFi, 700MHz 4G LTE, NFC, OTG, Fingerprint sensor and face unlock. It is currently on pre-order on Argomall for PHP 9,990. You can choose from the gradient blue and red variants as well. Home Credit 0 percent installment plan is also available where you can pay it for 18 months for as low as PHP 669 per month. Argomall also offers 1-year official manufacturer warranty in the Philippines, fast free delivery nationwide, and different payment methods including COD, credit card, online banking and OTC payments.